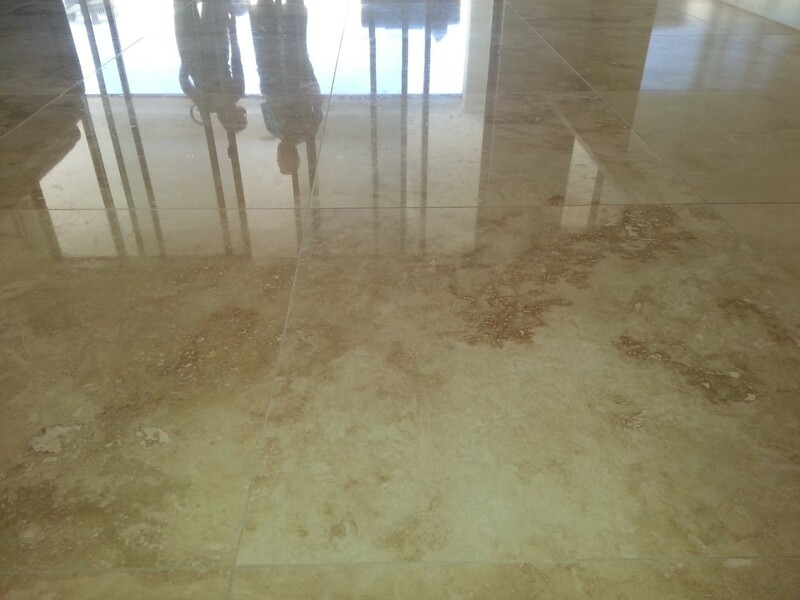 Travertine cleaning and sealing is essential but before we talk about how we can help you let’s talk about the stone itself to know it better. Travertine is a form of limestone that is formed when limestone comes into contact with hot springs. One place where travertine is found in large deposits is Tivoli, near Rome in Italy. This town was called Tibur by the Romans, and the name ‘travertine’ is derived from the Latin term lapis triburtibus, which literally translates to ‘stone from Tibur, Just like limestone, it is easy to work with – it can be tumbled, brushed, honed or polished into a variety of different finishes, the primary reason why it is so popular. Its soft nature also means that it gets scratched more easily, Travertine surface is also not smooth it tends to have small pores formed by gases that escape as the stone is formed over thousands of years, Examining your travertine tiles with a magnifying lens will reveal that these niches are where dust particles collect, diminishing their generally bright appearance. Travertine is prone to etching, meaning it can be corroded by acidic substances. This is why acidic cleaners are never to be used while cleaning travertine tiles. An abrasive cleaner would scratch the surface of your travertine floor tiles, so at Drytec, we use a specialized and safe stone tile cleaning solution. We dilute it just right, according to the manufacturer’s instructions. We know that replacing travertine tiles can be expensive, so we take great care not to harm your tiles in any way. Apart from bringing our professional expertise to the scene, we also use professional cleaning equipment, examining the state of the grout first. Only if it is in good condition can a pressure of up to 800-1200 psi be used in the cleaning process. 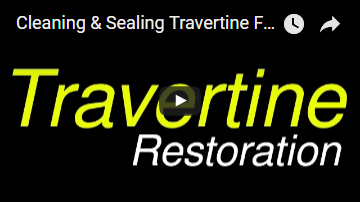 Travertine is a porous stone, meaning topical sealers can’t be used on your tiles. These trap moisture, which can cause damage as travertine is also highly absorbent. Sealing agents reduce the absorbing capacity of the material they are applied on. 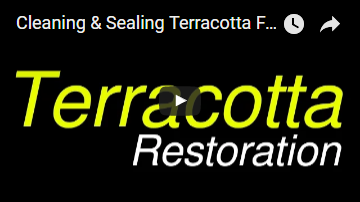 For porous tiles such as those made of travertine, only impregnating sealers are to be used. These react with travertine chemically and allow any moisture on the surface of the tiles to escape into the atmosphere. 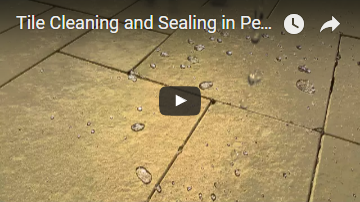 Sealing protects your tiles by not allowing them to soak up liquids in case of a spill, although the protection lasts only for a few hours and the spills need to be cleaned up.